Looking for an AC company in Citrus Springs? We offer ac repair, ac maintenance, and ac installation for Citrus Springs residents. We are also a diamond dealer for Mitsubishi and offer an upgraded warranty on our mini split ac installations, also known as ductless ac installations. In addition to air conditioning services, we also offer pool heater repair and indoor air quality products. 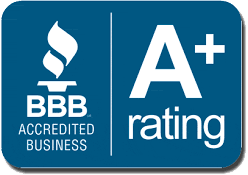 At Coast to Coast Heating & Air, LLC, we take pride in being a high quality air conditioning company that you can trust in Citrus Springs. We believe in always doing what is right by our customers, and always being honest. Need AC repair in Citrus Springs, Florida? Our Nate Certified Technicians have the experience and the knowledge necessary to properly troubleshoot and repair your ac unit. We service all makes and model air conditioners and we even repair pool heaters! When we visit your home, we always proceed first with a thorough troubleshooting of your unit. We check all mechanical and electrical components to make sure that we locate all of the problems. After the issue is found, we show you the problem and let you know what the “fix” is, along with a price. After we have approval, we proceed with fixing your ac unit. AC repair doesn’t have to be difficult, and we prioritize making a simple and seamless interaction, every single time with our customers. 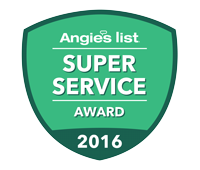 If you want high quality ac repair in Citrus Springs, call us at Coast to Coast Heating & Air, LLC. For more information about our ac repair services, click here. Looking for ac installation for your home in Citrus Springs, Florida? Whether you need a heat pump, straight cool system, gas furnace, or mini split ac unit we can help you! When we install an air conditioning system in your Citrus Springs home, we make sure your unit is sized properly, your ductwork is sized properly, and that you get a unit that works for you. Our ac installations are always professionally done, and we always clean our job sites once we have completed our job. We can design your air conditioning system for your new construction home in Citrus Springs as well! It’s very important to make sure that your ac system is designed properly the first time. Properly designed ductwork and making sure your unit is sized properly goes a long way in making sure you are comfortable in your new home. Call us, or visit this page for more information about ac installation in your Citrus Springs home. Need AC maintenance in Citrus Springs, Florida? Our maintenance technicians are courteous, on time, and very experienced in performing air conditioning maintenance on all makes and models of air conditioning and heating systems. Ideally, your air conditioner should be serviced twice a year, usually in the Spring and Fall. By visiting your home, we help keep your ac unit running at peak efficiency and catch problems early that could lead to catastrophic failure. Our Maintenance agreement customers actually get a variety of benefits as well, like discounted rates, no overtime charges, and always priority service. Check out our AC maintenance page for more information about ac maintenance for your home or business in Citrus Springs. Serving All of Citrus Springs!